The Nuance VLT6-10 valve guitar amplifier. 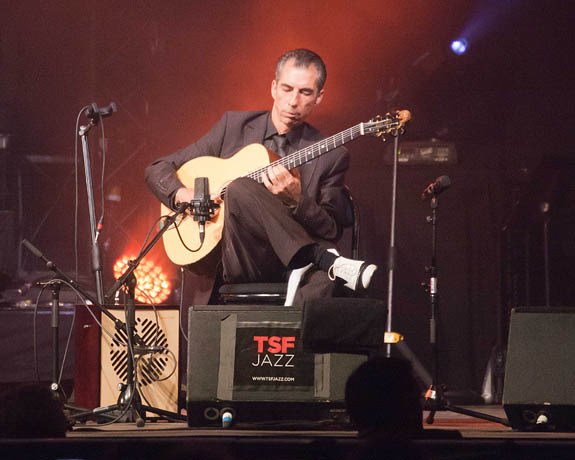 Very special valve electronics housed in an elegant retro-design cabinet for those who want the authentic sound and feel of a small valve amplifier as used by Django Reinhardt. The power amplifier circuitry recreates and extends the well known Stimer M6 amplifier, while the preamplifier provides a wide tonal pallette and makes the controls accessible on the top panel. Read the full specification here. 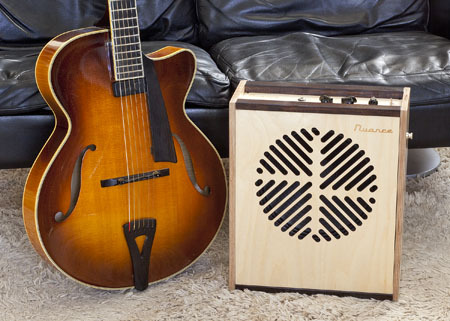 Model B18-10: Portable Guitar Power — Classic Tone Indoors or Out. B18-10 Front View with Vanden 'Cadenza' Guitar. 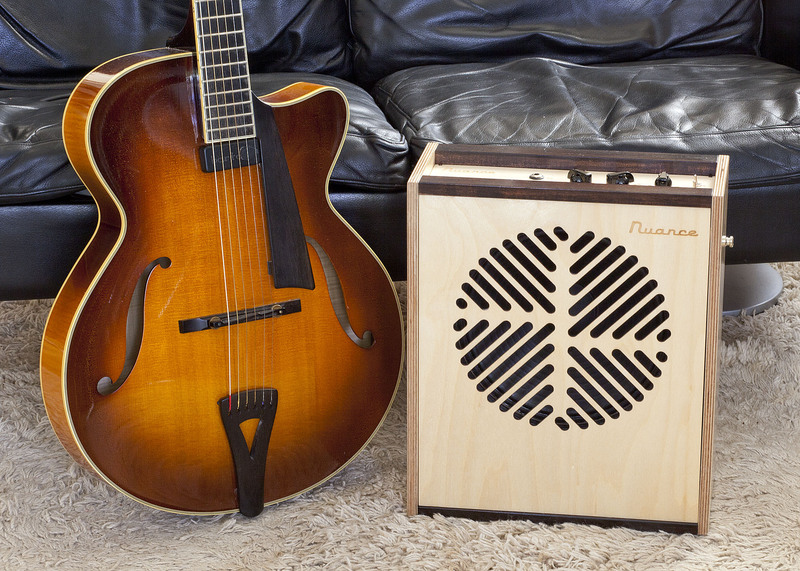 The standard box for both amplifiers is made with panels of Birch Plywood and rails of Black American Walnut. The front grille and the top panel are laser cut and engraved. The dark “A D Special” can be made to order at extra cost. It is identical in sound and performance to the standard amplifier.